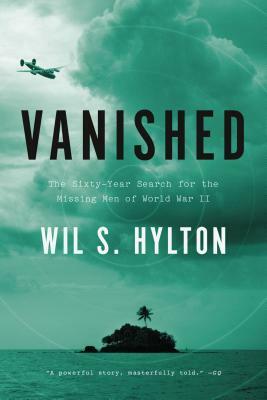 From a mesmerizing storyteller, the gripping search for a missing World War II crew, their bomber plane, and their legacy. In the fall of 1944, a massive American bomber carrying eleven men vanished over the Pacific islands of Palau, leaving a trail of mysteries. According to mission reports from the Army Air Forces, the plane crashed in shallow water—but when investigators went to find it, the wreckage wasn’t there. Witnesses saw the crew parachute to safety, yet the airmen were never seen again. Some of their relatives whispered that they had returned to the United States in secret and lived in hiding. But they never explained why. For sixty years, the U.S. government, the children of the missing airmen, and a maverick team of scientists and scuba divers searched the islands for clues. With every clue they found, the mystery only deepened. Wil S. Hylton is a contributing writer at The New York Times Magazine. His award-winning stories have appeared in many national magazines, including Harper’s, Esquire, GQ, and Rolling Stone. Hylton lives in Baltimore.